CCL maintains the following policies in order to seamlessly provide high quality services for your child. Payment for therapy sessions is required at the completion of each appointment with your child’s therapist, with the exception of group and offsite visits. Cash, checks, and MasterCard/Visa are accepted. If you choose to pay by credit card, then complete and return the form. A credit card must be on file for all children who receive therapy off site. Please make checks payable to Center for Communication or CCL. Returned checks will incur a fee of $25.00. We would like to continue to provide services for your child and prefer not to send claims to a collection agency. Please feel free to discuss payment options if needed. However, if payments are delinquent you will be responsible for the outstanding balance in total and any additional fees incurred for recovery assessed by a collection agency and/or the legal system. Monthly invoices will reflect charges for direct services as well as indirect services such as phone consultations, in-person consultations, outside meetings, progress reports/goal summary support, report writing, etc. Please inquire about fees that may apply. If you need to cancel a scheduled appointment, please notify the office at least 24 hours in advance of the appointment by calling (301) 468-9343 or your therapist’s direct number or via email. Individualsessions cancelled less than 24 hours in advance will be charged at 100% of the cost of service. A specific therapy time has been reserved for your child. Excessive absences and cancellations for individual therapy may result in the termination of services. If you wish to discontinue your individualservice arrangement a 3-week written notice is required .You will be expected to pay for all sessions scheduled during that period. In case of inclement weather your therapist will contact you. We do NOT follow MCPS guidelines. Your therapist will contact you if the office is closed. If you cannot attend the session please call the office, your therapist’s preferred number or email. Individual therapy sessions are typically 50 minutes in length, which includes parent/caregiver training and consultation time. We ask that you show consideration for the client(s) scheduled after you by keeping to the allotted wrap-up time for your session. Additional parent consultation time can be scheduled. Charges will apply to these requests. A therapy session will not be extended for a client that is late. If your child arrives late, you will be billed for the full session, as we have other students / groups scheduled throughout the morning, afternoon, and evening. 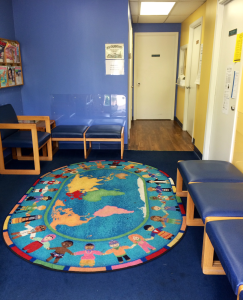 Based on our clinical experience, your child’s speech- language progress is highly dependent on the carryover of skills taught in therapy as provided by parents and teachers. At each session, we will provide feedback about your child and may provide you with follow-up activities for carryover. Parents of young clients (under 13 years of age) should stay at or very near the office during the session. We expect siblings to maintain an inside level voice while in the waiting area and to be supervised at all times. If you choose to leave the office, please make sure we have your cell phone number Help to keep the waiting area clean and clutter free by returning all items used to where they belong (i.e. books, magazines, toys, etc.). If you need to take or make a lengthy call on your cell phone we ask that you step outside in consideration of others in the waiting room area. Wireless access is available as a courtesy in the waiting room. In the course of therapy sessions we may take pictures, video or audio recordings. Occasionally we will capture an interaction that accurately illustrates a particular concept or strategy that we would like to use in training/conference settings. They will only be used to educate fellow parents and professionals about how to employ therapy techniques that are being discussed. On occasion, we may publish photos/videos on our website and/or on promotional materials with permission. Please refer to photo release form in intake packet.